THE ELECTRONIC CIGARETTE INDUSTRY IS GROWING FAST. PROSMOKE IS HIGHLY SCALABLE TO MEET THE DEMANDS OF THE INDUSTRY. We have made it easy for large to small companies, with one shop to a global name, to get started with electronic cigarettes for the first time. If you already sell e-cigarettes, you will be excited to see the market study results for ProSmoke and how it can perform the best for your store and while growing your customer base immediately with our current customers. We have e-cigarettes signage and retail POS as well as packages to make it easy to get started. PROSMOKE'S APPROACH TO THE RETAIL MARKET IS MULT-FACETED AND HELPS ENSURE IT GROWS FOR YOU. ProSmoke recognizes that having the best product on the market isn't the only key to success. This is why we have continued to grow our marketing effort considerably. Helping educate new consumers on what electronic cigarettes are and why they should buy them. We also help our current customers find your store to makes purchases and can help educate our retailers on new processes and legislation for our industry. TO ENSURE YOU GET QUALITY PRODUCT EVERY TIME. ProSmoke Is Designed with the #1 Goal of providing customers an experience that gets them to return to your business and purchase from you again and again. Our disposables have a sturdy one-piece construction and is the equivalent of 2 regular packs, saving the customer money while still providing great profit margins for your business. Prosmoke's electronic cigarettes are Smoke Free, Odor Free, Ash Free, Carbon Monoxide Free and Tar Free. 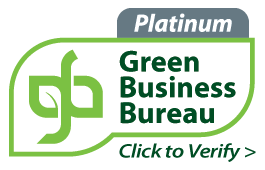 Our Green Certifications give customers the confidence that they are choosing the best product from a socially and environmentally responsible company.